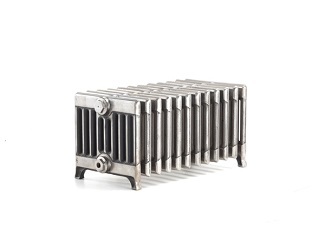 At Ribble Radiators, we have one of the largest stock of reclaimed cast iron radiators in the UK with many originally salvaged from dilapidated schools, churches, hospitals and other old buildings. We completely transform and renovate these original cast iron radiators at our four-acre worksite in Lancashire, converting them from tired, shabby pieces back into stunning works of art – providing them with a new lease of life for the modern living space. The entire process from salvage to restoration to customer despatch takes place onsite; we have an extensive plant list that enables us to transport hundreds of radiators each month, chemically strip them of all impurities such as old paint, scale and sludge, and are then re-bushed and pressure tested with air to 6 bar to ensure they are fit for purpose. Once a thorough pressure-testing process is complete, the radiator moves into our paint workshop to be primed and finished in a colour of your choice. We can match any RAL colour in Cromadex paint and also offer the full range of colours from independent British paint manufacturer – Little Greene. 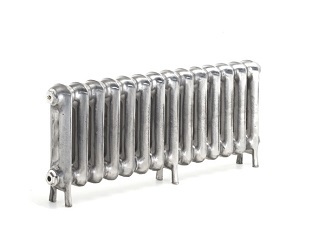 With authentic reclaimed radiators, they are renovated in their original size and style and therefore cannot be altered. 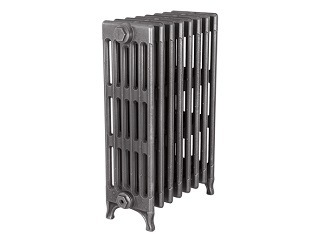 If you would prefer to customise a cast iron radiator in an antiquated style with your choice of columns, sections and design, you can do this by viewing our Bespoke Cast Iron Radiators section. 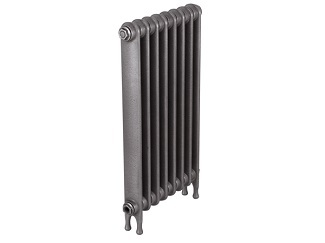 Please see prices below for Reclaimed Cast Iron Radiators. 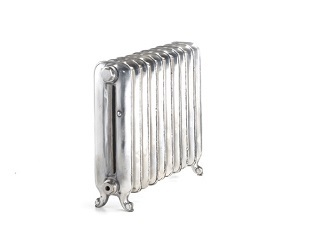 All of our Reclaimed Cast Iron Radiators are subject to availability, please contact us for current stock. All prices shown excluding VAT. 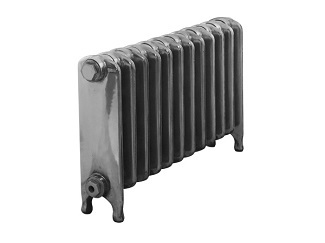 We offer a restoration service, where we can refurbish your own reclaimed Cast Iron Radiators. 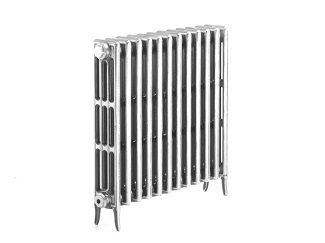 Please note: We cannot fix leaking, cracked or damaged radiators. Over 20 sections: Price on application.